If you’ve ever had to do some quick swapouts, you might have found yourself frustrated as you accidentally controlled two similar items with the same remote. Because it was a temporary situation, you didn’t really want to reprogram the remote, so you lived with it. There’s a simple way to address the problem and it involves two things you probably already have: aluminum foil and masking tape. Take a piece of aluminum foil and fold it over itself until you have a square about 4″ x 4″. Put it over the infrared “eye” of the equipment and tape it on with masking tape. 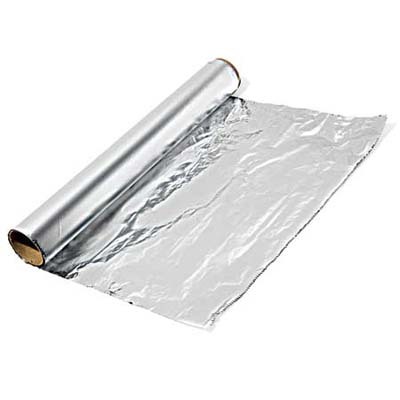 It doesn’t matter if the foil is shiny side in or out, if you’ve folded it enough times nothing is getting through. Cover up the item you don’t want to control and it will be almost blind to any IR or RF signal you want to throw at it. If you have to control both devices, just tape the foil on at the top and it makes a handy little flap that can be flipped up out of the way when not needed. Then, you can cover one or the other as needed. This little tip works with all devices with IR or RF control, although with RF devices it may be harder to find the antenna as it may be hidden behind plastic.